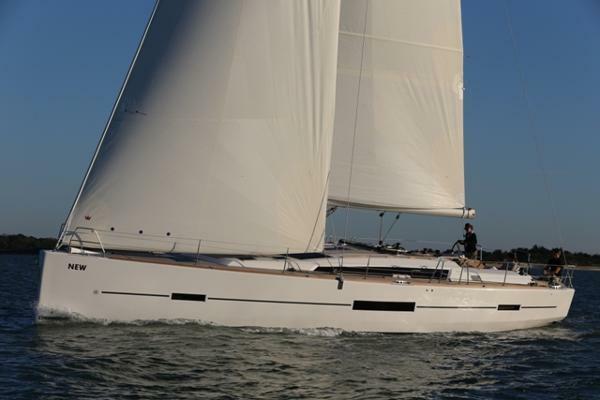 2016 Dufour 500 Cruising World Magazine's Best Full-Size Production Cruiser for 2014SAIL Magazine's 2014 pick for Best Flagship CruiserThe Dufour 500 Grand Large has made quite a splash since her introduction. Her innovative design both inside and out are a reflection of Dufour's commitment to building the best sailboats on the market today. She is a true long distance cruiser, with sea kindly abilities offshore, and all of the storage and capacities required for a long distance voyage. 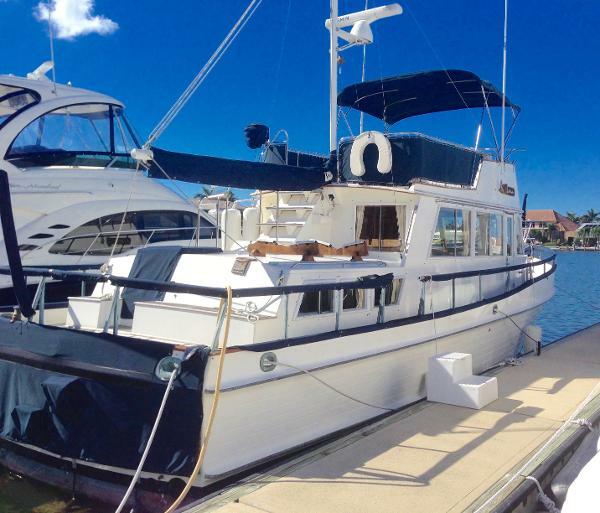 Her innovative layout makes your time aboard an absolute pleasure whether day sailing with neighbors, entertaining friends, or cruising with family.Call today to get aboard one of the most talked about yachts of the year! 2015 Dufour 500 Cruising World Magazine's Best Full-Size Production Cruiser for 2014SAIL Magazine's 2014 pick for Best Flagship CruiserThe Dufour 500 Grand Large has made quite a splash since her introduction. Her innovative design both inside and out are a reflection of Dufour's commitment to building the best sailboats on the market today. She is a true long distance cruiser, with sea kindly abilities offshore, and all of the storage and capacities required for a long distance voyage. Her innovative layout makes your time aboard an absolute pleasure whether day sailing with neighbors, entertaining friends, or cruising with family.Call today to get aboard one of the most talked about yachts of the year! 2017 Zodiac Bayrunner Pro 500 NEO F70 In Stock BOAT SHOW SPECIAL PRICING $28,495 - SAVE $5,208!! The advertised BOAT SHOW SPECIAL PRICING includes freight and dealer make ready to the Great Lakes and ALL listed options and customs on the full specifications page except the trailer which is sold and priced separately. Factory Photos Shown - New Photos Coming Soon Zodiac Boats is perhaps the best known brand of inflatable boats made and sold in the USA. Reed Yacht Sales is its full-line dealer for the Great Lakes region with locations in Lasalle & Grand Haven, Michigan and Racine, Wisconsin. Our inventory is constantly moving between our three locations and various boat shows so please call ahead to find the current location of the model or models you would like to view. For Sport Cruising with more specific needs the Zodiac Bayrunner Series offer design ingenuity. Bayrunners feature a cockpit design with Yamaha digital readouts and bench seating with large underseat storage areas. A great highlight of the Bayrunner Series is the ample forward seating area for the entire family! Made in the USA. 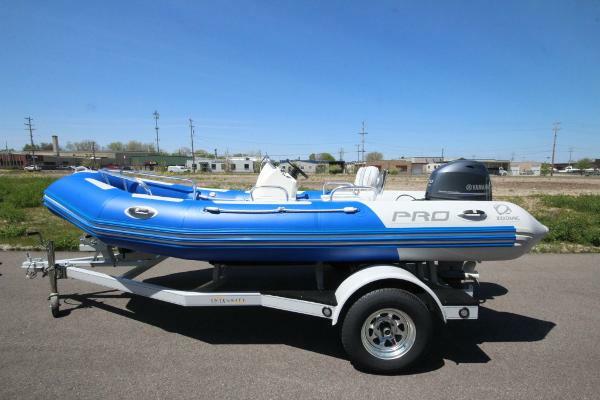 2017 Zodiac Bayrunner Pro 500 PVC F70 In Stock BOAT SHOW SPECIAL PRICING $25,995- SAVE $4,296!! 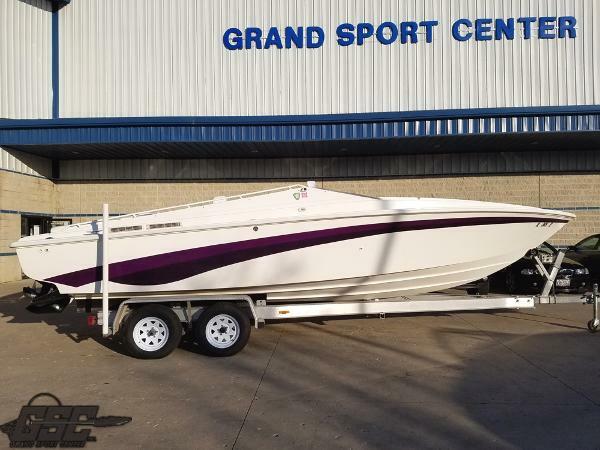 Special Boat Show Pricing includes freight and dealer make ready to the Great Lakes and ALL listed options and customs on the full specifications page except the trailer which is sold and priced separately. Zodiac Boats is perhaps the best known brand of inflatable boats made and sold in the USA. Reed Yacht Sales is its full-line dealer for the Great Lakes region with locations in Lasalle & Grand Haven, Michigan and Racine, Wisconsin. Please call one of our salepersons to set up a personal tour of this Bayrunner Pro 500 PVC. Our inventory is constantly moving between our three locations and various boat shows so please call ahead to find the current location of the model or models you would like to view. For Sport Cruising with more specific needs the Zodiac Bayrunner Series offer design ingenuity. Bayrunners feature a cockpit design with Yamaha digital readouts and bench seating with large underseat storage areas. A great highlight of the Bayrunner Series is the ample forward seating area for the entire family! Made in the USA. 2017 Zodiac Bayrunner Pro 500 NEO F70 On Order BOAT SHOW SPECIAL PRICING $28,495 - SAVE $5,208!! 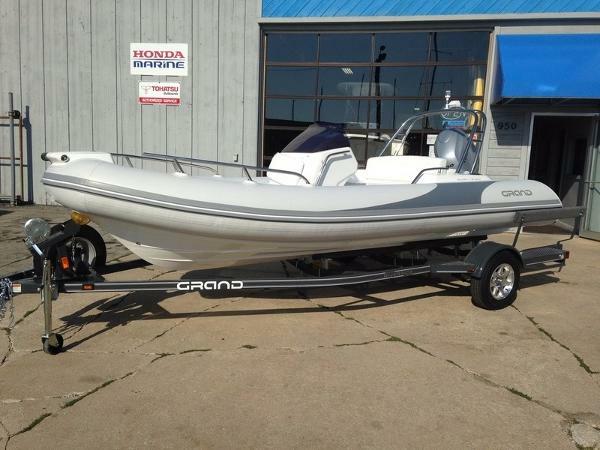 The advertised BOAT SHOW SPECIAL PRICING includes freight and dealer make ready to the Great Lakes and ALL listed options and customs on the full specifications page except the trailer which is sold and priced separately. Factory Photos Shown - New Photos Coming Soon Zodiac Boats is perhaps the best known brand of inflatable boats made and sold in the USA. Reed Yacht Sales is its full-line dealer for the Great Lakes region with locations in Lasalle & Grand Haven, Michigan and Racine, Wisconsin. Our inventory is constantly moving between our three locations and various boat shows so please call ahead to find the current location of the model or models you would like to view. 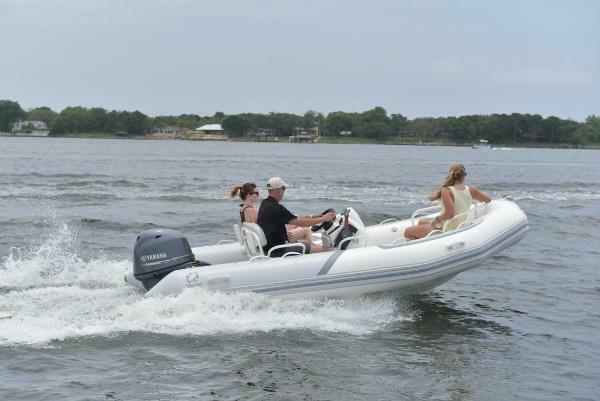 For Sport Cruising with more specific needs the Zodiac Bayrunner Series offer design ingenuity. Bayrunners feature a cockpit design with Yamaha digital readouts and bench seating with large underseat storage areas. A great highlight of the Bayrunner Series is the ample forward seating area for the entire family! Made in the USA. Teak could use some oil but overall the boat is still in grand condition. All canvas, eisenglass is in good shape and the interior was well taken care of without any need for reupholstery. There was absolutely no mildew or head odors. The deck is solid with no soft spots and the interior shows no signs of water intrusion. The hull has not been polished this year but shows it has been well taken care of previous seasons without serious chaulking. The Raymarine Radar dome and unit are not hooked up but available to the next owner. 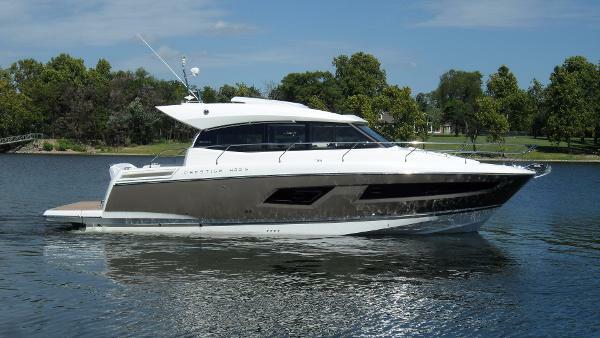 Stock #151811 Great Condition Phoenix 29 Flybridge! Twin Crusaders! Updated Salon And Berth! Newer Eisenglass On Flybridge! Large Open Cockpit! 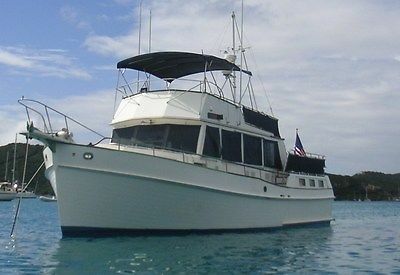 If you are in the market for a sportfish/convertible boat, look no further than this 1984 Phoenix 29 Convertible, just reduced to $15,500 (offers encouraged). 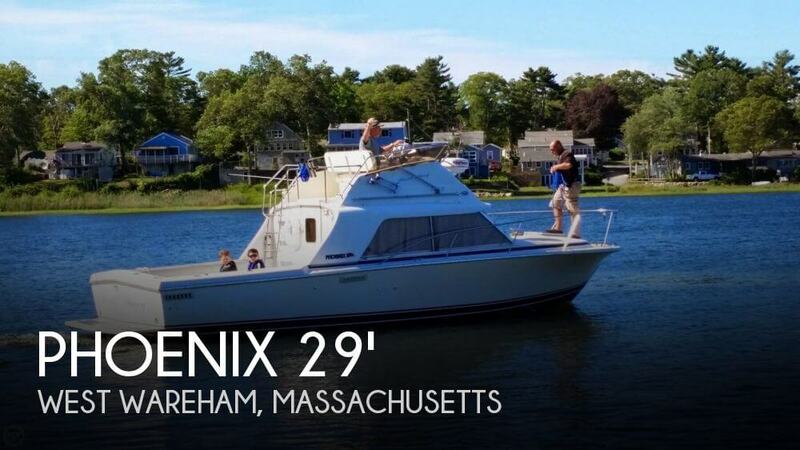 This boat is located in West Wareham, Massachusetts and is in great condition. She is also equipped with twin Crusader engines that have 1,331 hours. 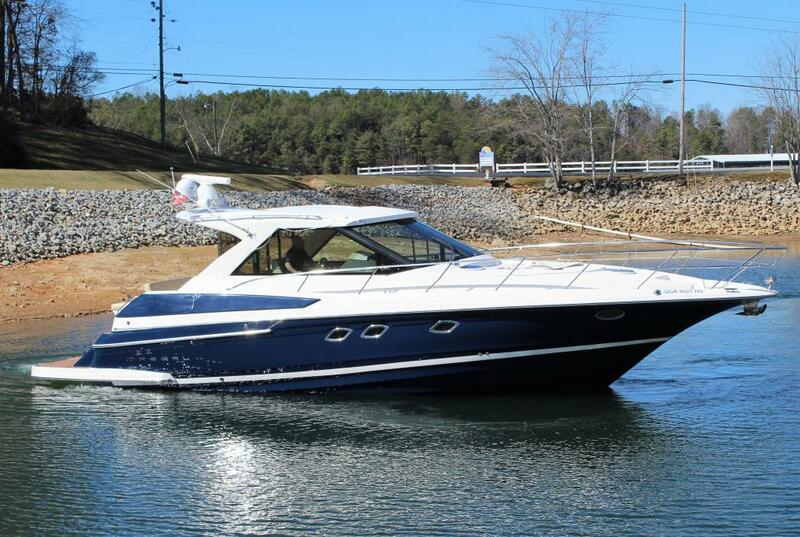 Reason for selling is getting older and needing smaller boat. 2017 Dufour 512 Cruising World Magazine's Best Full-Size Production CruiserSAIL Magazine's pick for Best Flagship Cruiser The Dufour 512 perfectly combines the philosophy of a yacht with elegant and luxurious style as well as outstanding performance. After the success of the Dufour 500 GL, selling over 140 units in 2 years, Dufour proposes a revisited version of this exceptional yacht which benefits from all the innovations and features integrated in the latest Grand Large models. While sailing, the new fixed bowsprit, helmsman console, and inclined boom are advantages for easy maneuvering. At anchor, you will enjoy the fully equipped exterior galley with barbecue, sink and fridge as well as the wide sunbaths and lighted handrails for an unreached lifestyle approach on any yacht of the same category. Incredible performance, easy to sail and dreamily elegant, the Dufour 512 promises intense emotions in all conditions and embodies a new dimension to sailing adventures.